Smiling Faces Website Design Project by Metal Potato... Let's do launch! 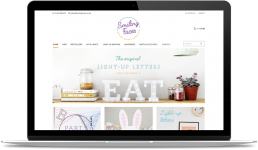 How do you build a trade-only eCommerce website that's customer friendly? You start by making it responsive. 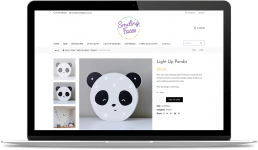 That was the case with Smiling Faces, a U.K.-based trade website specialising in party items like candles, confetti and light-up signs. Sounds simple, right? Well, not exactly. Because Smiling Faces is a trade-only eCommerce store, building a new website meant creating a complex account system that enabled admin approval before each new user could be registered. It also meant creating different account levels within that website that allow users to see products based on their “rank.” If you just signed up, you might only be able to see certain products—like confetti, for instance. Purchase them, and you can move up a rank and gain access to more products such as light-up signs. To make this system a reality, our team of Potato engineers combined custom coding with WooCommerce and WordPress. We also migrated over 300 products from their old, Joomla-based content management system (CSM), and over 2,000 customers to the world’s premier CMS, WordPress. Now, Smiling Faces is putting a grin on customers’ faces no matter what kind of device they’re accessing their website on.